"Totem" is an augmented reality sculpture. The piece is based on a quote by Rich Jensen: " I used to live in a psychic city, where every little thing had it's own secret life." 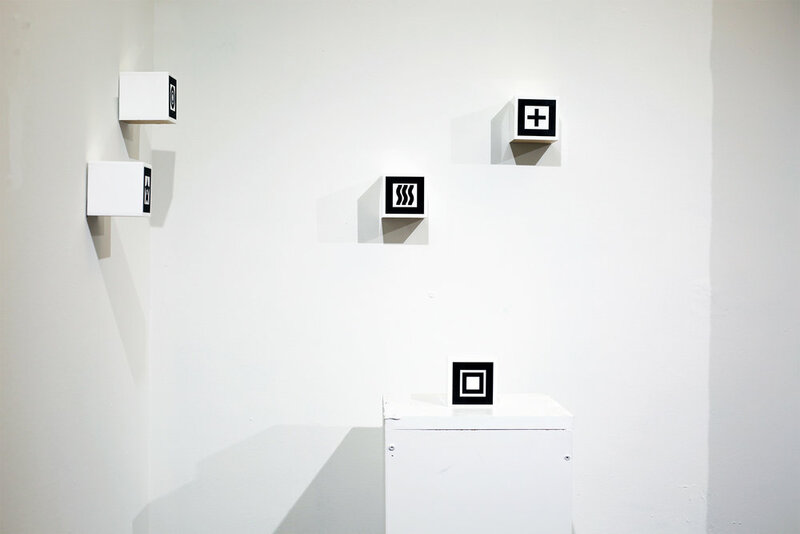 I fabricated a series of white cubes that act as augmented reality tags. When viewed through a web-camera, a new, different animated sculpture is revealed. Part of the process was to create an object that would simultaneously exist in two separate realities and occupy two spaces; a tangible and a virtual one.